You know Barrington Terrace is home when you first arrive. Beautiful and bright, our senior living community has just the right mix of hustle bustle and calm. From the moment you enter our doors, you can feel confident we give the residents the best care possible in the homiest environment possible. Our team is not only experienced working with seniors of all abilities, but also receive extra education on how to have positive interactions with each resident based on his or her particular set of preferences. We strive to ensure the entire family feels welcome in our community; for instance, this reviewer also noted that when a niece visited Barrington Terrace, the staff invited her to attend events alongside her senior loved one. Healthy seniors are active seniors, and we know the importance of engaged residents. At Barrington Terrace, our staff works hard to develop an active calendar full of events and programs that our seniors will enjoy. From entertaining singers to ice cream socials, new learning lectures to spiritual opportunities, our residents are able to learn a new hobby or participate in a well-loved one. We carefully design our activities to suit the preferences of our residents. Moreover, if you or your senior loved one isn’t sure about participating in group activities, don’t worry. We offer activities not only for large groups and small groups, but also for one-on-one interactions and for residents to enjoy on their own. Barrington Terrace provides an environment that feels like home, a team of staff members who see serving seniors as their life’s calling, and activities to keep residents engaged and happy. Furthermore, we are honored to serve residents who require additional assistance with daily tasks, such as hygiene or medication management, in our assisted living community. 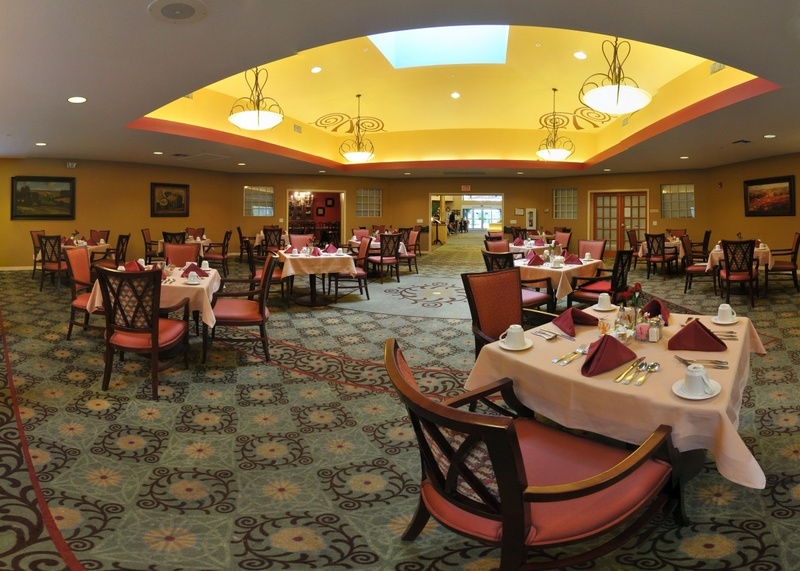 For seniors living with cognitive challenges, such as Alzheimer’s Disease or other dementias, our memory care community offers a safe environment, activity calendar, and dining room tailored to giving each resident the best chance to remain as calm and as independent as possible. If you are curious to see what all the buzz about our community is about, we would love to hear about your situation. Learn more about Barrington Terrace, and you may just become the next person to give us a glowing review.